This March [the 13-14th], experience the energy that comes with solving issues, connecting and developing relationships, and learning from technical experts. 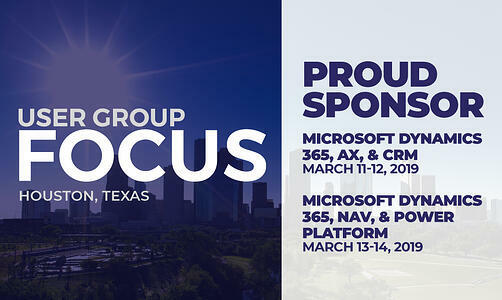 Discover why Business Central / Microsoft Dynamics NAV users are gathering in Houston at User Group Focus North America. User Group Focus is a deep-dive training conference comprised of 90-minute, intermediate to advanced-level sessions taught by technical and functional experts. As a sponsor of this conference, we are excited to share in this journey with you. BCUG/NAVUG will be joined at User Group Focus by fellow user groups – learn more. The average Dynamics NAV customer uses only half of the available functionality in their operations. Let's unpack more ROI from your existing system as we walk through typically underused features and other hidden gems your users can leverage. On the agenda are Dynamics NAV workflow and Microsoft Flow, Relationship Management, Word templates, and the new In-App Designer - so strap yourself in! Sometimes software is not the answer, or at least not the only answer. If we have a bad process, then automation only allows us to do the wrong thing faster. Attend this session to learn how companies have achieved better results by utilizing this lean initiative to gain insight into waste and true points of value for your customer. As system admin, you have to know a lot, or figure it out and fast. In 90 minutes, we'll attempt to cover everything you ever needed or wanted to know about being the administrator for Business Central, from core setups to best practices (or at least, help you look like you know what you're doing better). The Distribution playing field is changing: What does the future look like? Whether you or not you deal directly with Amazon, they and others are changing the world of distribution and with it, your vendors’ and customers’ expectations. 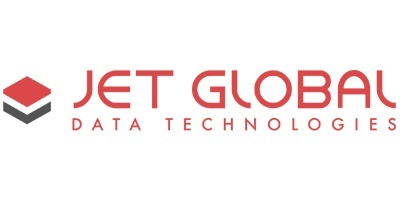 The demand for fluid, real-time (and even predictive) information is exploding. Your ability to know everything about your products and where they’ll be when, is fast becoming mandatory. We’ll discuss the impacts of changing technologies and expectations on the average BC/NAV customer, and how you work with your existing systems to adapt. Are you considering CRM? Have you implemented CRM and you haven't been seeing the sales results you were hoping for? CRM isn’t selling. It's a Contact Management System. Selling is the art of creating possibilities. In this session we will help you tie together sales processes, and a winning sales strategy to help you take your sales to the next level. We're "gettin' real" in this deep dive on how you can use Power BI for business operational reporting, including manufacturing, warehousing, and shipping. By the end of the session you will know how to link to your BC / NAV system, have a basic understanding of data tables and fields specific to operations, and how to build and publish dashboards and daily/weekly reports. A discussion of “gotcha’s” topics will be included to help you with any issues you may experience working with Power BI. Sample reports will be provided to each attendee at the end of the session. At Innovia, it is our goal to help you become successful, both as an organization and individually. This is why we would like you to join us at User Group Focus and encourage you to take advantage of resources such as the user group communities.